Less than two miles after KY 2671, we’ll approach KY 69. 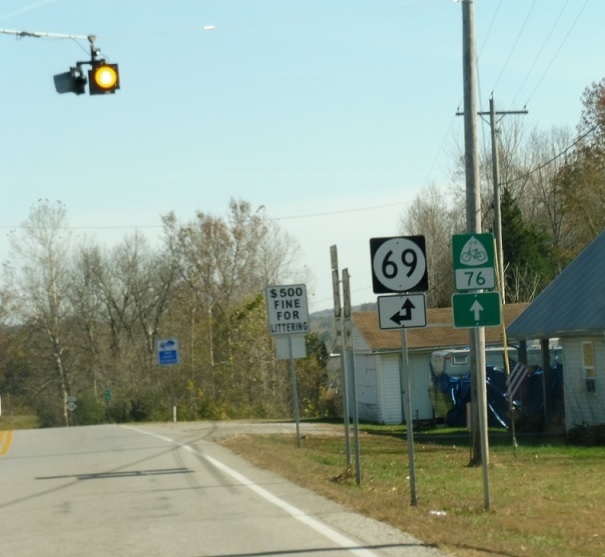 Turn left for 69 north towards Hawesville. Stay straight for 54 east/69 south/U.S. Bicycle Route 76.